Have you heard of the man who went into hiding when he was asked to shave his moustache? Or read about the one who walked around in circles for three months? Pakistani artist Bani Abidi’s new exhibition, The Man Who Clapped for 97 Hours, celebrates all that is quirky. 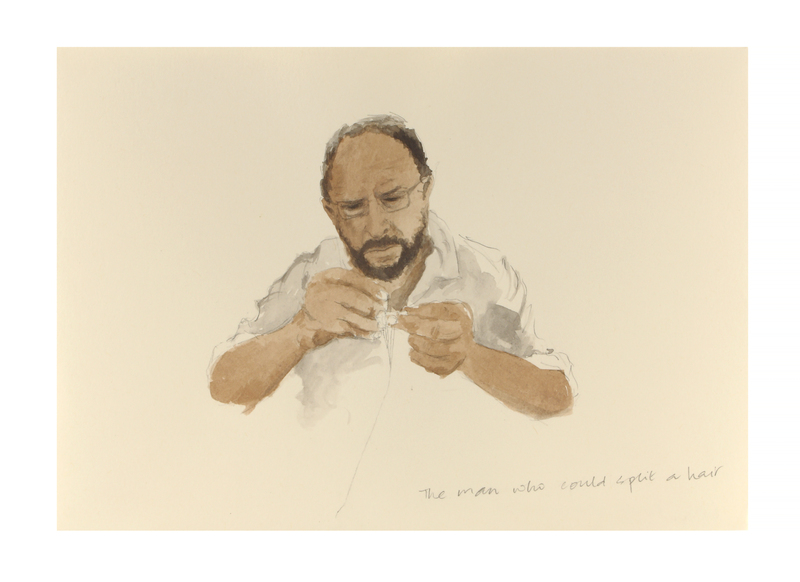 The series, titled ‘And the Man who…’ after Ilya Kabakov’s The Man who Flew into Space from His Apartment, comprises a collection of watercolour paintings. 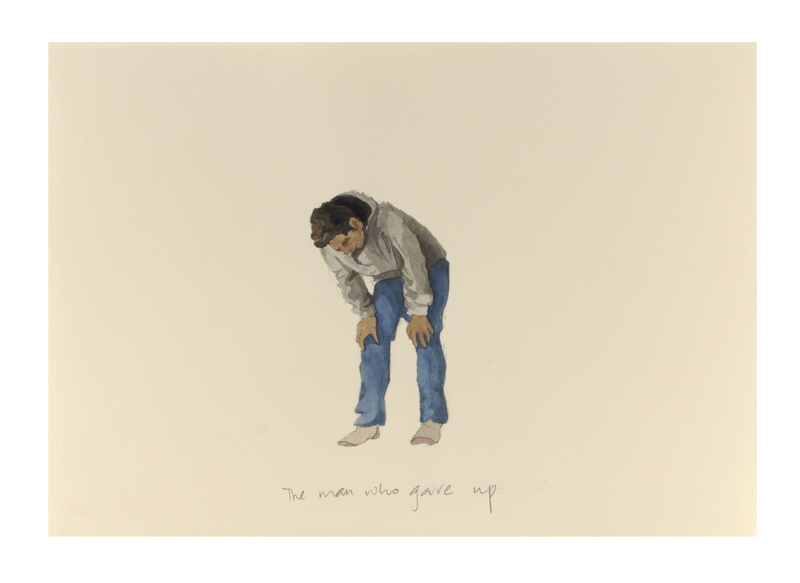 The artworks, that capture semi-fictional people on canvas, are based on individuals who feature in the Guinness Book of Records for seemingly odd feats. 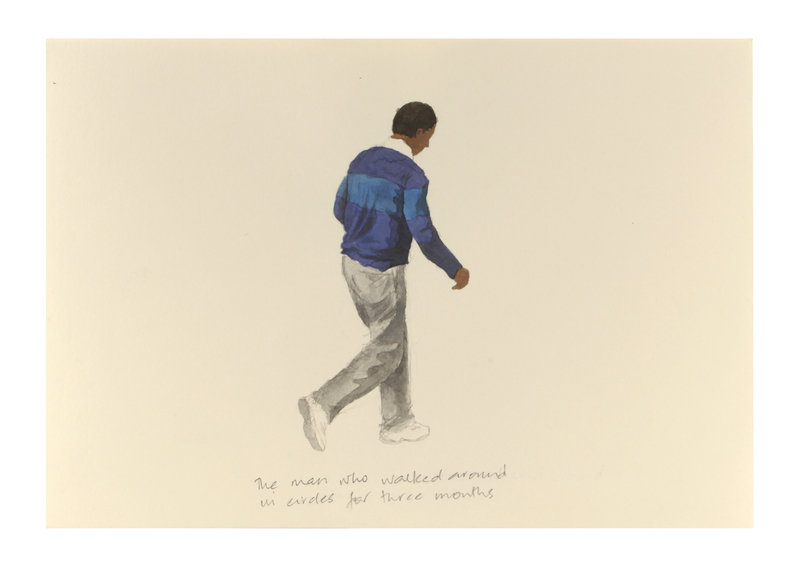 Abidi, who shuttles between Berlin, New Delhi and Karachi, created these paintings with an interest to understand the metaphorical meaning — and performative poignancy — of the chosen activities and achievements, placed against the backdrop of modern society. 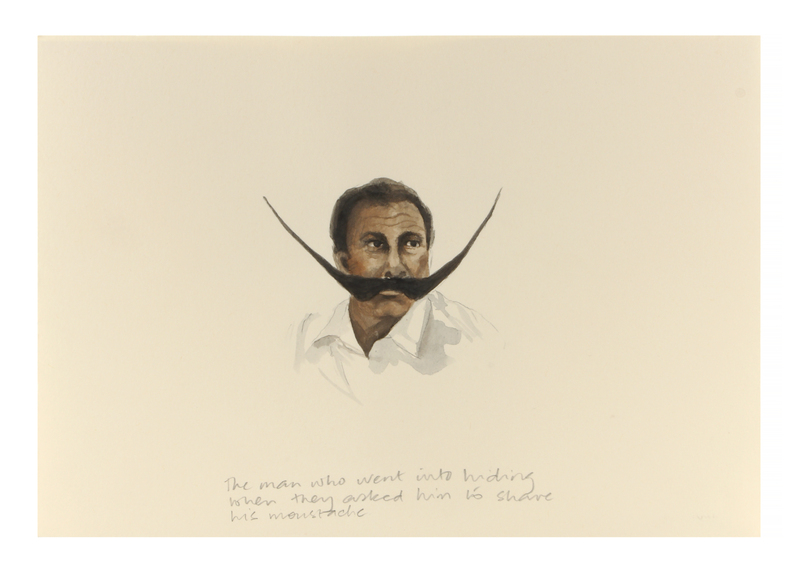 Part of the series are portraits of ‘a man who could split a hair’ and (sadly) ‘the man who gave up’ as well. A fictional video, An Unforseen Situation, which highlights notions of patriotism and masculinity; along with a six-video installation, Funland (Karachi Series II), will also be on display during the exhibition. 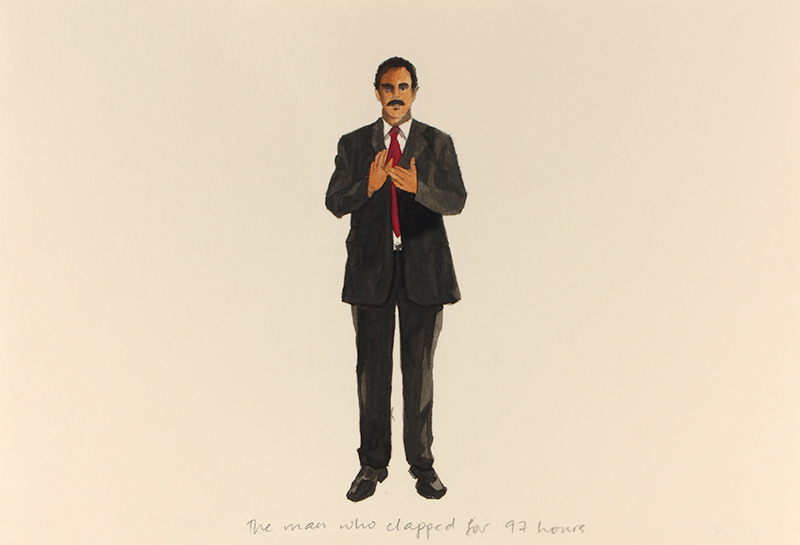 The Man Who Clapped for 97 Hours is on display at Experimenter, Kolkata from January 15 to February 27, 2016.